This book aims to bring together the pioneering research on gender based violence that has been conducted by the Centre for Gender and Violence Research at the School for Policy Studies, University of Bristol. Topics discussed include violence in young people’s relationships, prostitution policy, disabled women’s experiences of domestic violence, men as victims of domestic violence, feminist movements and methodological concerns. 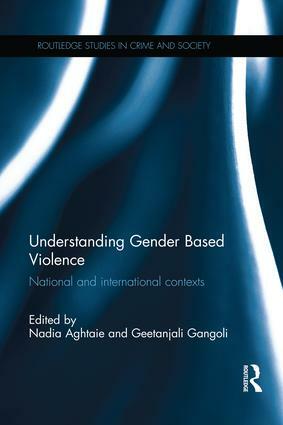 This book will have a wide appeal, as each individual chapter builds on and contributes to existing global and national concerns about gender based violence. The book starts with an exploration of key theoretical, conceptual and methodological issues in researching gender based violence, then moves on to look at specific national (UK) based empirical studies. The final section brings together a wide range of research from diverse contexts, ranging from China, Iran, India and refugee camps in Rwanda. The book will be an invaluable resource for researchers, students and practitioners who have an interest in this area, as well as for policymakers around the world. It will also be of interest to the general reader who wants to learn more about what is now a highly topical issue.